What: The Salesforce connection allows you to sync visitor data between BlueConic and Salesforce (back and forth) in real-time. Salesforce (www.salesforce.com) is a customer relationship management system that, among other things, provides a service that collects sales lead and contact information and stores it in rich visitor profiles. BlueConic is able to synchronize its own information with Salesforce using the Salesforce Connection, enriching the available information on both sides. The Salesforce Connection provides matching between BlueConic profiles and Salesforce Lead, Contact or Person objects, allows asymmetric synchronization, supports Lead creation, and lets the sales team see live BlueConic information in Salesforce. The BlueConic managed package in Salesforce, available from the AppExchange. The following sections explain these steps in more detail. Select "Salesforce Connection" to create a new Salesforce connection. Enter a title for the connection, e.g. "Salesforce". Having created the Salesforce connection in BlueConic, we can start to configure it. Salesforce needs to be allowed to connect to BlueConic to instantly send updates from its side or to retrieve and display information. Think up and enter a new Consumer Key. This key will be used to set up a secure connection between BlueConic and Salesforce. The key may contain uppercase, lowercase and underscore characters and numbers, for example: "2017Salesforce" or "My_CRM_system". Copy and paste your Consumer Key to a temporary note pad, as you will need it to configure Salesforce later. Click [Generate Secret] to generate a private secret key based on your consumer key. Copy and paste your Consumer Secret to a temporary location, as you will need it to configure Salesforce later. Do this now, because the secret will be hidden once you navigate away from the connection! Click [Save] to store your changes. Observe the browser URL. Copy the connection id from the browser URL and paste it to a temporary location. The id will look like "d5c24bf2-b980-4d28-ba7c-2f118e42d0f2" and consists only of letters, numbers and dashes (so no "=" or "&"). You can always generate a new secret key. Doing so will invalidate all previously generated keys which will stop an already active connection from working. Having set up BlueConic API Access, Salesforce will now be allowed to connect to BlueConic. Time to set up that part of the connection in Salesforce. With the initial setup on the BlueConic side done and the important data copied in your notepad, it is now time to inform Salesforce that you are going to work with a remote site. In the quick search field above the left menu pane, type "Remote Site" and select "Remote Site Settings". Name the remote site, for example "BlueConic". For remote site address enter the URL of your BlueConic (e.g. "https://taylorshop.blueconic.net/"). Make sure the remote site is active. Next, install and configure the Salesforce managed package for BlueConic. This will allow Salesforce to send information to BlueConic. Find the BlueConic app on the AppExchange or click the button below, click "Get It Now" and follow the instructions. Consumer Key: Enter the key that you thought up and copied. Consumer Secret: Enter the secret that you generated and copied. Connection: The id of the connection in BlueConic (e.g. "d5c24bf2-b980-4d28-ba7c-2f118e42d0f2") that you copied. Click [Save] to finish configuring the managed package. Salesforce can now send information to BlueConic, although it can't receive anything from BlueConic yet. We will configure the necessary connection settings in the next step. To be able to send information from BlueConic to Salesforce, BlueConic needs to be authorized. It is recommended to not use your own user but instead use a separate user for authorizing BlueConic. This way your Salesforce reports will not be influenced. Using a separate user may require you to adjust assignment rules or other Salesforce settings. Click the button [Connect with Salesforce]. A popup opens where you can log in to Salesforce. Log in with the separate user (recommended), or with your own user. After logging in Salesforce will ask for permissions. If you want to limit the information exchange to visitors that are part of a specific segment, select a segment other than "All Visitors". Your connection should not show an error, which means that BlueConic can now send updates to Salesforce. Technically you are done now; two-way communication between Salesforce and BlueConic is now possible. However, with a little extra configuration you can give your Sales team advanced access to BlueConic information without having to synchronize all data to Salesforce. The Live Profile Viewer is an optional object that you can add to a page layout. As the Salesforce page is being loaded, it will request live information from BlueConic and make it available for inspection. In Salesforce, click "setup" in the top right. In the left menu select "Build > Customize > Leads > Page Layouts"
Click "Edit" for the layout that you want to add the Live Profile Viewer to. From the "Fields" bar drag and drop the element "Section" to the "Lead Detail" block. Enter a name for the section, for example "BlueConic Live Profile viewer". In the layout bar, scroll the menu in the left down to select "VisualForce pages"
Drag the "LeadProfile" page to the newly created Section. Hover over the blue LeadProfile area of the BlueConic Live Profile and click the wrench icon in the top right to modify its settings. Repeat this for all layouts and also for Contacts. What BlueConic information to show in the Salesforce page layout. The following sections delve deeper into the options that are at your disposal for synchronizing BlueConic and Salesforce. The collect settings allow you to determine which fields will be collected from Salesforce and how they will be mapped to BlueConic profile properties. You can add variables by clicking the [Add Variable] button. Collecting variables is optional; if you do not need anything from Salesforce in BlueConic profile properties it is okay to leave this section empty. Indicate whether the field belongs to a Lead, Contact, Person or any combination of these in Salesforce. Select the field from Salesforce. Note that availability of fields is dependent on the selected object types. Select the BlueConic profile property into which the Salesforce value should be collected by typing its name or by using advanced search to find it. Set: Copy the value from Salesforce exactly to the profile property, overwriting the previous value. Set if empty: Copy the value from Salesforce exactly to the profile property but only if it is empty. If the profile property already has a value do nothing. Add: Add the value from Salesforce to the list of values already in the profile property if it hasn't been added yet, omitting duplicates. Sum: Numerically add the value from Salesforce to the value in the profile property. If the profile property was empty, it will be regarded as value 0. Only works for profile properties and values that contain integer numbers. To duplicate a variable click the copy icon, or to delete a variable click the delete icon on the right hand side. Use the deliver settings to determine which BlueConic values will be delivered to Salesforce and to which fields. You can add variables by selecting the type "Profile Property", "Segments" (to deliver the list of segment names a profile is part of) or "Permission Level" (to deliver the permission level of a profile) and clicking the [Add Variable] button. Make sure you always deliver all fields that are marked as "mandatory" in Salesforce! If you leave out mandatory fields, Salesforce will block the connection from creating any new leads as mandatory information is missing. Delivering variables is optional; if you do not need anything from BlueConic in Salesforce it is okay to leave this section empty. 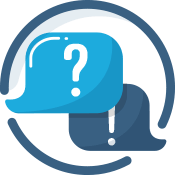 Select the BlueConic profile property whose value should be delivered to Salesforce by typing its name or by using advanced search to find it. If you added a variable of type "Segments" or "Permission Level" the variable has already been preselected for you. Indicate whether the field belongs to a Lead, a Contact, a Person or any combination of those in Salesforce. Select the "Field Name" from Salesforce. Note that availability of fields is dependent on the selected object types. Set: Copy the value from the profile property exactly to the field in Salesforce, overwriting the previous value. If the profile property contains a list of values and the Salesforce field is a text field all values will be concatenated into one string with a semicolon as separator (e.g. "value a; value b; value c"). Set if empty: Copy the value from the profile property exactly to the field in Salesforce but only if it is empty. If the profile property already has a value do nothing. Add: Add the value from the profile property to the list of values already in the field in Salesforce if it hasn't been added yet, omitting duplicates. The Salesforce field should be a Picklist (Multi-Select). Due to constraints in Salesforce there can only be a maximum of 100 value entries in the list and each value can only be 35 characters long. Sum: Numerically add the value from Salesforce to the value in the profile property. If the profile property was empty, it will be regarded as value 0. Only works for profile properties that contain numbers. Under creation of new leads you decide when it is okay for BlueConic to create a new Lead object in Salesforce and deliver all information subsequently. Select all required profile properties; these will need to have a value in BlueConic before a new Lead is created in Salesforce. This section is optional; if you do not want BlueConic to create any new Lead objects in Salesforce, do not select any profile properties. Activate the checkbox to automatically assign leads according to the Salesforce lead assignment rules. Under matching criteria you decide when a profile in BlueConic matches a Lead, Contact or Person in Salesforce. Do this by adding variables that will match BlueConic profile properties to Salesforce fields. Select the BlueConic profile property whose value should be matched to Salesforce by typing its name or by using advanced search to find it. Select the field from Salesforce. Note that this is dependent of the selected object types. When you add multiple variables, a match is found if any of the profile properties matches its Salesforce field. Synchronization only occurs when a single match is found. When multiple matches are found in Salesforce for a BlueConic profile, nothing will be synchronized. BlueConic data can enrich the Lead, Contact or Person detail information in Salesforce by displaying live information from BlueConic. See above on how to configure the Salesforce page layout to display live BlueConic information. Upon opening the details page in Salesforce the VisualForce component that displays the blocks requests the most recent profile information for this particular Lead, Contact or Person from BlueConic and displays the information. The profile information will be refreshed whenever the page is reloaded. Select the profile properties that you want to be displayed in Salesforce by searching for them. The blocks can be reordered by clicking the left and right arrows in the blue bar. The "Segments" and "Other Profile Properties" blocks are automatically added. The former displays a list of all segments a profile is a member of. With the latter you can search for profile properties and inspect their value. As soon as you activate and save the Salesforce connection in BlueConic, scheduled runs will start to synchronize the two systems regularly. Due to restrictions on the number of Salesforce API calls synchronization from BlueConic to Salesforce is not instant (yet within minutes) and data is pooled to make effective use of the connection. Updates from Salesforce to BlueConic are instant. Click the "Show History" link to see previous runs. If there was a problem during synchronization it will be mentioned under "Details". When you hover over a run a "Download log" icon will appear on the right. Click the icon to download the log for that particular run.